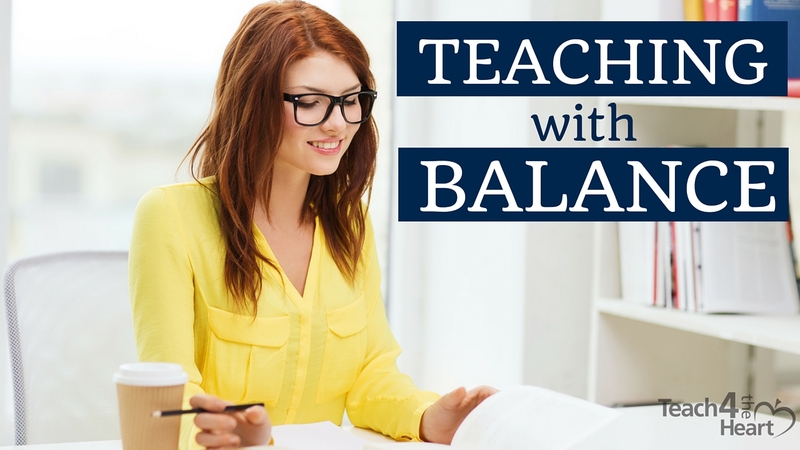 As teachers, we pour our lives into our work and into our students. We are constantly giving of ourselves and our time, as well we should. But we have to be very careful that we don’t pour so much into our students that we drain ourselves dry. Or, worse yet, end up neglecting our own families. I remember when I first started teaching at a Christian school, the principal told me, “If you have to cheat someone, cheat the school.” At first I was a bit confused, but he explained that they believed family needs to come first. And that if something has to give, it’d be better to set aside the schoolwork and be there for family. I can’t tell you how much I appreciated this approach, but I know that this philosophy is quite rare among administrators. Nonetheless, we are still responsible to keep first things first. To remember that we need time away from school to rest and regroup. And to make our families a bigger priority than our students. So how exactly do we do that? It will look different in every situation, but one of the best things we can do is to set some boundaries so that when push comes to shove, we ensure we always have time for our family and that we have the energy to keep our heads above water. To get you thinking in the right direction, here are some examples of boundaries you may want to set. Of course, these are just that – examples. some of these might be exactly what you need and some might not fit your situation at all. What’s important is to find what works for you and your family. Then the real challenge begins – sticking to them! Leave school at a certain time. Determine a final time that you will leave work by (barring any unavoidable meetings, etc). Then, actually start leaving school by that time. Say no to extras. Carefully weigh those optional duties and activities. 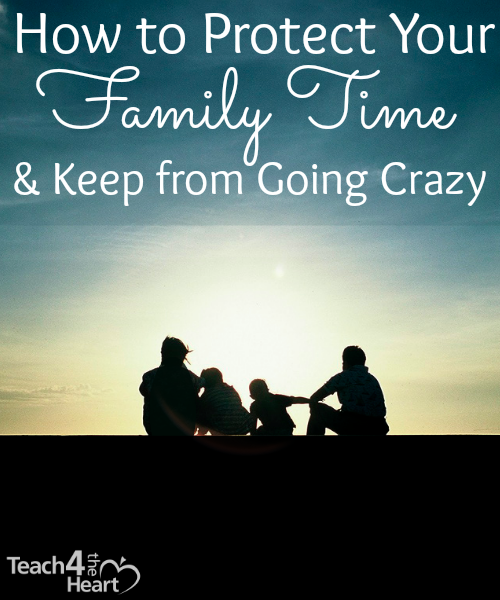 They may be very worthwhile, but too many of them can kill your sanity and your family time. So decide ahead of time what will fit and what won’t – then practice the art of saying no. Determine to take one day off a week. Decide that either Saturday or Sunday will be a no-work day. Your brain could really use the time off, even if it means a little extra time the other weekend day. Set limits on how much work you will do at home. Prioritize the tasks that absolutely must get done and determine that those are the only things you’ll work on at home. The rest can wait for school hours. Or, simply set a time limit for how long you’ll work on school work at home. Thinking this sounds impossible? Check out our series on 25 Ways to Save Time & Take Home Less Work. Either don’t give out your home/cell phone number or set phone hours. It’s really a personal decision whether or not you want to give out your cell phone number, but if you do decide to give it out, set hours for when you’ll answer a call from unknown (or known parent/student) numbers. For example, decide that once you sit down for dinner, you will not take any more school calls for the rest of the evening. Don’t check your school email at home. You may be stuck bringing some work home, but if you don’t check your email at home then at least you won’t be adding to your list. And seriously – how many emails really need to be answered at 9:00 at night? What other boundaries do you set to protect your energy level and your time with your family?